Sony HT-CT370 is the predecessor of Sony HT-CT770. Each of these has their own pros and cons, and people often tend to struggle in making the right decision. We have put together and picked apart some of the important aspects of both the sound bar speakers, and will be covering them all in this post. The differences between Sony HT-CT370 and Sony HT-CT770 come from the total power and a couple features. Sony HT-CT770 produces 330W of audio power, while HT-CT370 lacks, in contrast although it produces an audio power of as close as 300W. Sony HT-CT770 is also a step ahead in terms of how powerful the two way speakers work, including a 120W wireless subwoofer. 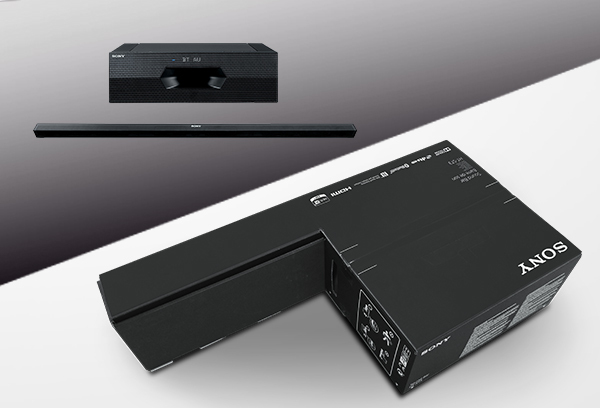 HT-CT770 has more connectivity options when compared to HT-CT370, with three HDMI inputs for video connections and high resolution audio, HT-CT770 beats HTCT370 to it. CT770 is capable of supporting 1080p, 3D and is capable to pull off 4K videos as well. It can be easily connected to a TV, or an HD source for that matter. It also panders additional audio features such as 3.5mm inputs and an optical cable. Thus far, it is very obvious that CT770 has the upper hand over CT370. However, here is a little twist. CT370 is lightweight in comparison with CT770, both in terms of device and sub-woofers. Besides, both have similar features in their plank with built-in Bluetooth, powered with 2.1 channel home theater, compatible with popular sound formats and much more. The applications on both the devices are well integrated and exactly the same. CT370 also gets the edge with the price with it being hundred dollars cheaper. While we think CT770 has its own uphills over CT370, CT770 is simply not worth it. The enhancements have been very slim, and nothing really stands out about it. Besides CT370 goes at just $300, making it more affordable as it lives up to what the features claim. Final word: Sony HT-CT370 is the way to go while it lasts.